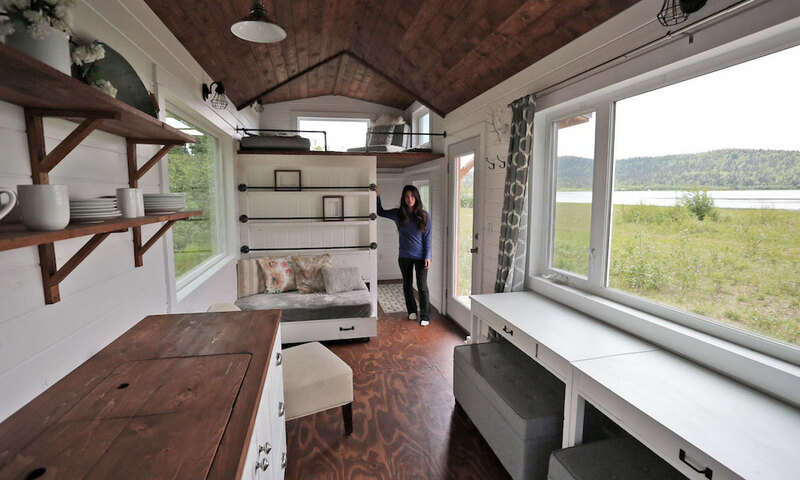 Ana and her husband built their tiny home in a remote forest in Alaska. The house, which was built on a trailer, can travel wherever the family feels like going. 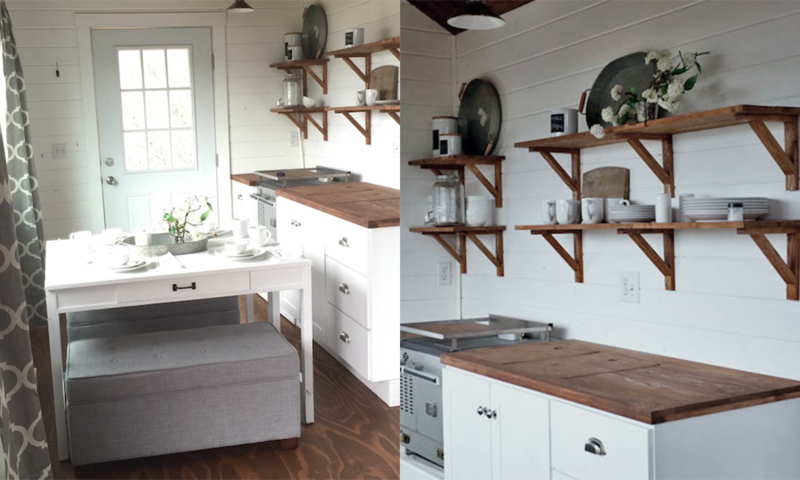 The couple sourced materials from online stores and department stores, and are inspiring building beginners to DIY their own homes. Although ‘tiny’, Ana’s home can comfortably fit 6 adults or 6 or even more children. Ana and her partner built the home so that their family can enjoy comfortable stays in the remote wilderness of Alaska. The house can endure the extreme cold and wet of Alaska and is equipped with 2 bedrooms, a fully functional kitchen, and a living room, including a desk that converts into a dining table. The house is 24 feet long and eight feet, six inches wide, meaning that anyone with a trailer the same size can utilise the free plans to create their very own tiny home. In the past couple of decades, tiny homes have been popping up all over the world, and with them has come a movement of people choosing to live simpler and more sustainably. Rejecting excess is one of the best things that we can do for our planet.Small scale living is a great way to reduce consumption live more economically and help the planet. Having a tiny house as your primary home is also a great way to avoid the exorbitant housing markets in Australia and around the world, while reducing greenhouse gas emissions and water use.